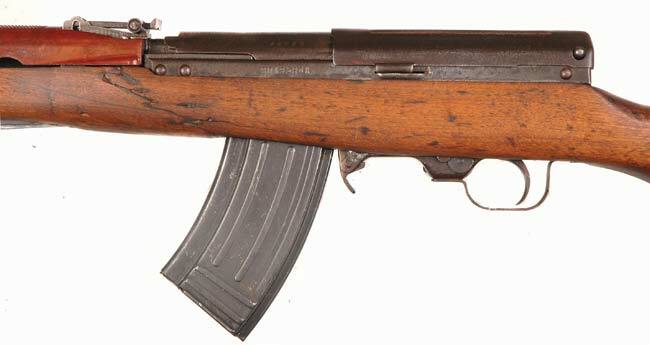 I kind of like the look of the type 63 rifle and a goal is to eventually make a semi-auto ATFE legal one for my self. It really has a nice look to it. These last 4 photos were pulled from the internet. 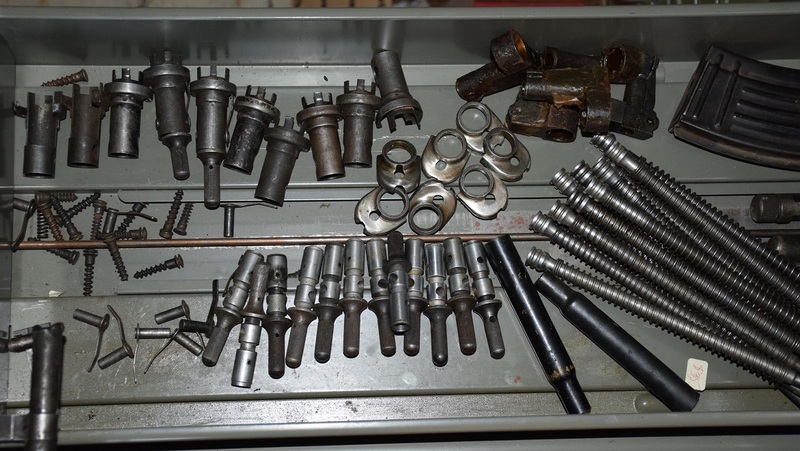 So I have had a quest for the last 15 years or so to obtain type 63 parts. Not the easiest task. 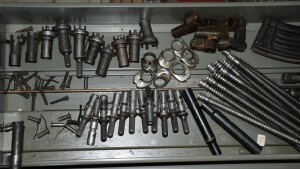 This last week I was able to obtain a few more parts for the type 63 Chinese rifle. More then enough top covers. 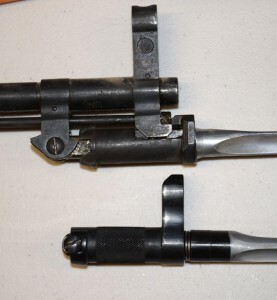 Interesting that there were two different upper hand guard designs. 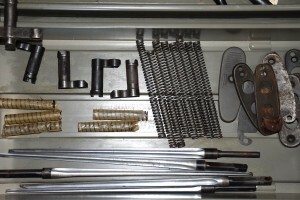 I still need to make some more recoil spring brackets. 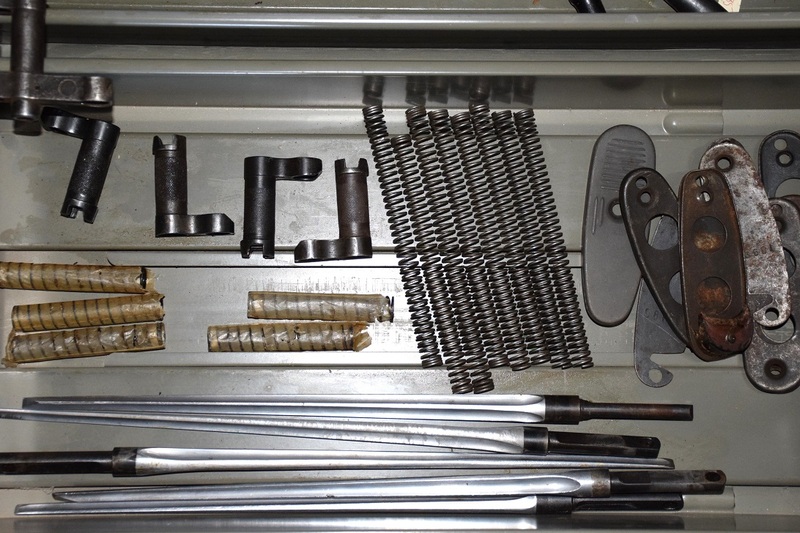 I have enough front hand guard sheet metal pieces as well as gas pistons and locking pins. 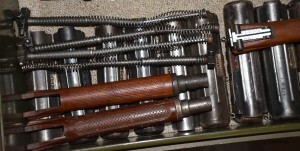 Sks bayonets and springs and latch mechanism. The bayonets need to be re-ground and shortened but will work. 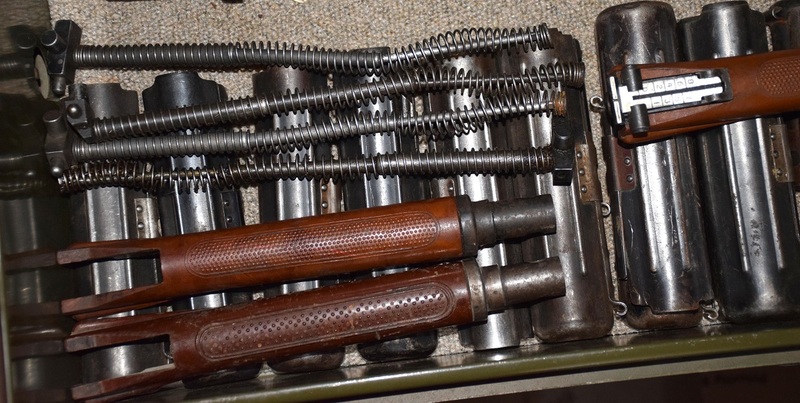 I am going to cut off the latch mechanism on the sks and weld on a type 63 mechanism. I have 2 stocks and a stock duplicator. I can make the rest of the stocks I need. 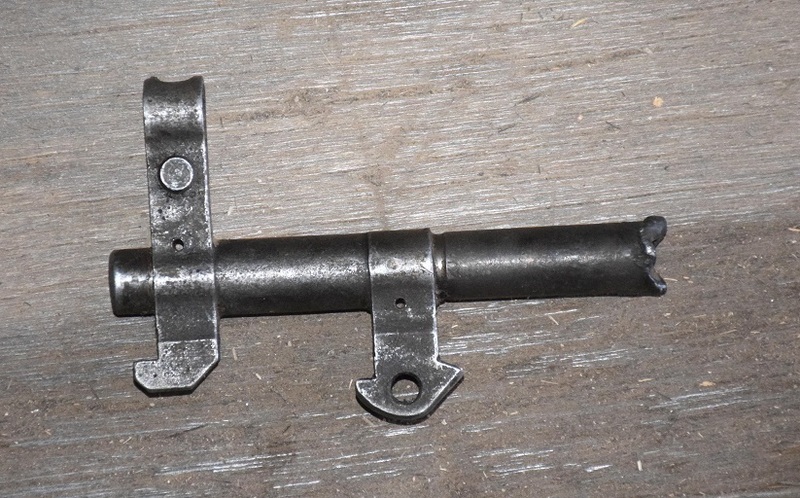 A great little piece of a cut off end of a type 63 barrel. I will have solid models of both of these parts soon. 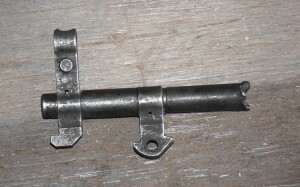 A close up of the type 63 lock up and the sks lock up on the bayonet lug. This is a Chinese folding bayonet for the AK-47. This is still available even if it is quite expensive. I will order one this next week to have to use as a pattern. 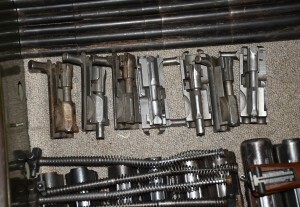 A view of the gas block,rear sight base and gas system, this one is missing the gas tube. I do have 2 gas tubes to use as patterns. 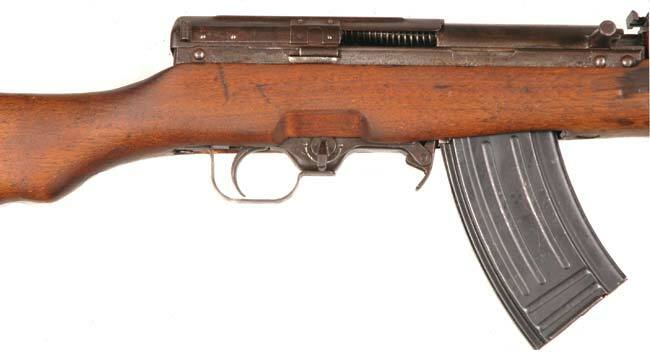 I am hoping that one of the readers of this happens to know of or own a type 63 and can take me some detailed pictures of the receiver of the rifle, hopefully with some basic measurements. I could also use some pictures of the gas block with measurements. With any luck I will be going to England this summer and have an opportunity to look at one at the pattern room. This will be a project in the future. Omega weapons systems Has parts listed for type 63/68 Select Fire listed. Hope it helps. I have know Don for over 2 decades. I was at his place buying the parts. He does not have much left for the type 63. 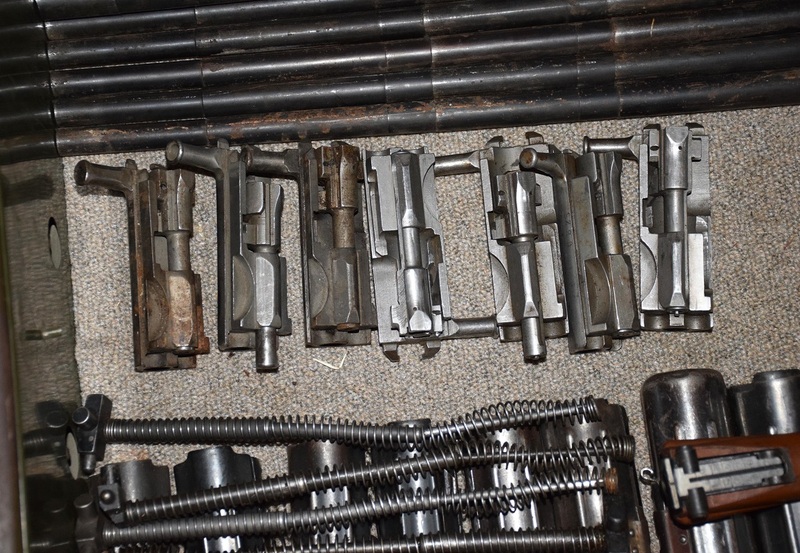 I have a type 63 rifle – send me an email if you still need measurements or photos from it. 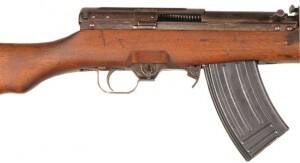 Many hundreds of Chicom Type 68 rifles were imported (as semi-auto Type 63s) into and sold in Australia during the ’80s. 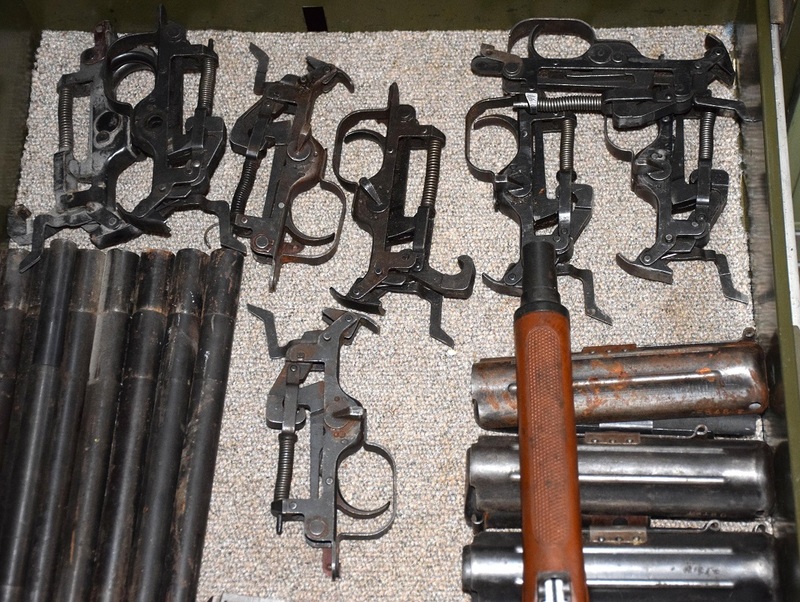 All the ones I saw were Chinese arsenal-converted to semi-auto only, stamped receiver Type 68s, the forward position of the fire-selector switch being used as a second safety detent for the selector lever. All had the 20-round magazines of the 68s, with or without the Chicom 5-pointed star stamped on, never saw any 63 pattern 15-rouñd ones. 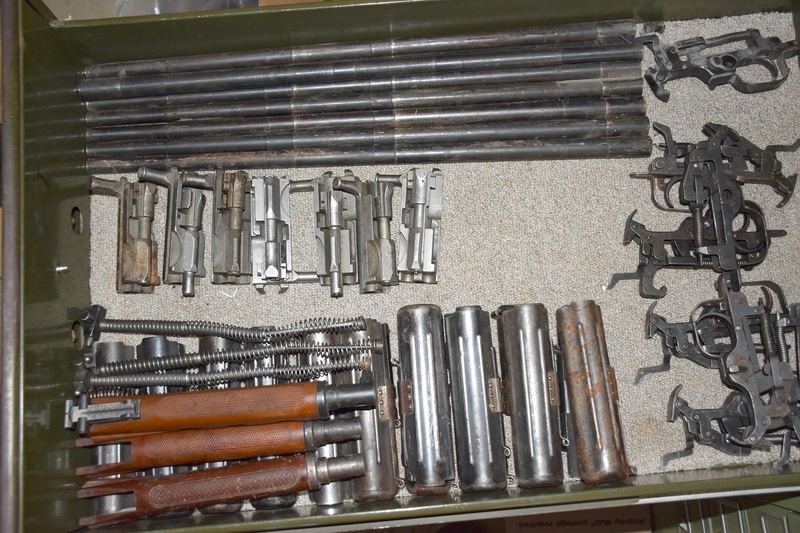 The rifles were okay, unless you found one that had been sold in Victoria: page 210 of Ezell’s Small Arms Of The World has a photo misidentifying the fire-interuptor as the automatic sear, so the Victorian cops ordered all guns have the so-called auto-sear cut off! 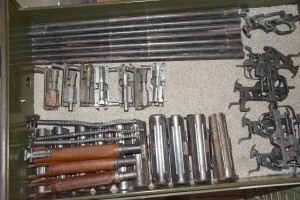 In the late 80s, Australian Customs began raiding gunshops and private owners of the rifles, seizing them as ‘prohibited imports’, with zero compensation paid. One gundealer had an entire shipping container full seized, they refused to allow the guns to be re-exported, all destroyed! 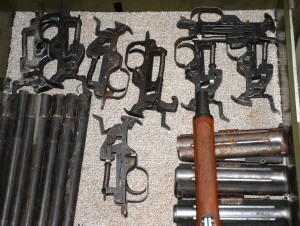 At the time, only Tasmania, Queensland and the Northern Territory did not have official gun registration in place, so the only guns to escape destruction were ones that had been on-sold by the prior owners. It did not stop the federal and state thugs from threatening people, but hey, what can you do after selling to some bloke at the range? Those were the days! Americans, never accept any type of gun registration: it always leads to confiscation! Roosevelt really screwed you people in 1934. I was wondering if this project was still active? Is this project still moving forward? Also, are type 56 and type 63/68 parts interchangeable? I a, considering a possible type 63/68 build.